October 14, 2106 SDVOSB and Veteran Owned Business RFPs, RFIs, Pre-Solicitations and more from Federal Business Opportunities. Some of these solicitations include the following products/services for the United States federal government: chlorination services, Upgrade Water Distribution System, Military Training Support Services, Asbestos Abatement, Copier Leasing, Interior Design Services, Pharmaceutical Waste Disposal, HVAC Repair, Cemetery Improvements, Licensed Practical Nurse and Nursing Assistant Services, Canine Medical Training, Kitchen Cleaning Services, Internet Services, Construction Services (100% SDVOSB Set-aside), Podiatry Services and more. 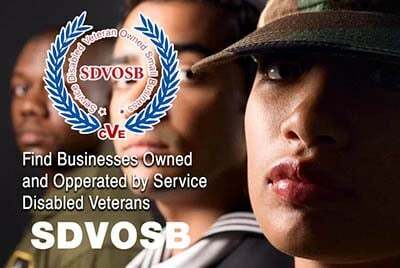 Click here to view full list of SDVOSB and Veteran Owned Business Bids.